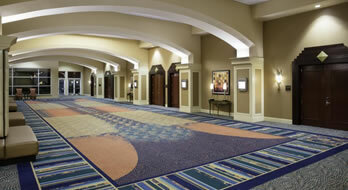 Conveniently located on International Drive in Orlando you will find the impressive Rosen Centre® Hotel. Rosen Centre® puts you in the middle of the many attractions, restaurants and great shopping you can find in one of the world’s top tourist destinations. International Drive Orlando offers cuisine for every palate such as Italian, Asian, BBQ and steakhouses. 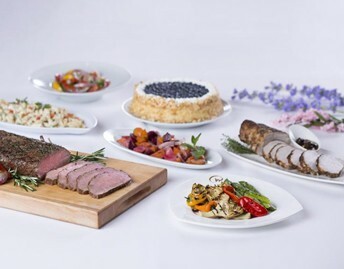 Many of these options can be found at the Rosen Centre®’s fine restaurants. If you venture just a short distance from our International Drive hotel, you will find meals that will please your palate and your wallet. International Drive shopping attracts visitors from around the world. Two large outdoor outlet malls, Artegon Marketplace and Orlando Premium Outlets, provide an opportunity to get designer and brand name items at bargain prices. Pointe Orlando, an outdoor shopping and entertainment complex located down the street to the Rosen Centre® Hotel, features high-end shops to casual stores and everything in between. Of course, International Drive is also where some of Orlando’s most popular attractions can be found. SeaWorld® Orlando and their exciting waterpark Aquatica are just 5 minutes away, as is Universal Orlando™ Resort and Islands of Adventure®. Merlin Entertainments, the second largest attraction operator in the world, has launched three of its top global brands in the heart of Orlando’s International Drive. At I-Drive 360, guests can take flight on the iconic Orlando Eye, a 400-foot tall observation wheel with breathtaking views of Central Florida; dive deep into three oceans of the world by exploring SEA LIFE Orlando Aquarium and it’s 360-degree ocean tunnel, floor-to-ceiling displays and bubble aquariums; or indulge in the ultimate fame experience at Madame Tussauds Orlando, the unparalleled celebrity wax attraction.